The McLean Family would like to offer you a warm welcome to our Bed and Breakfast. 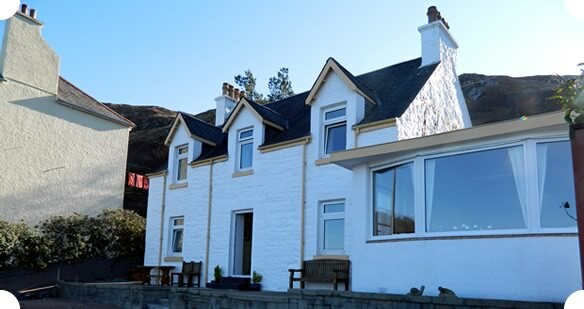 Springbank was built around 1906 and is situated overlooking the busy harbour with spectacular views of the Cuillin Mountains and the Isle of Skye. We are just a few minutes walk from the centre of the village and all the facilities – Bus, Ferry and Rail terminals, restaurants, bars and shops. We offer warm and comfortable rooms with a selection of Scottish Fine Soaps, Beverages from Brodies of Edinburgh and Biscuits from the Isle of Mull bakery. 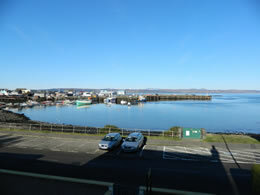 Our front Rooms offer some of the best views you could wish for. We have an outdoor area at the front of the house where you can sit and enjoy the spectacular view from the House, watching the boats land their catch, the seals swimming in the bay in front of the house and the sun setting over the Isle of Skye. Great location, only 5 minutes or so walk from the railway station. Very reassuring first impression - the exterior of the B&B is immaculate.